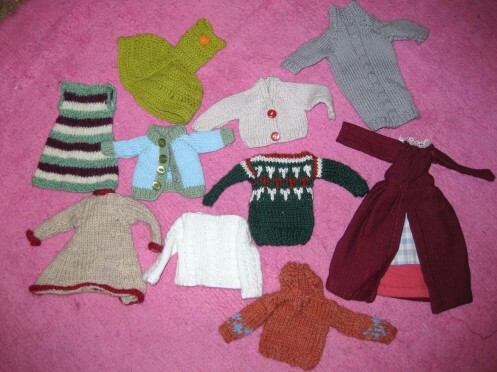 Found these handmade doll clothes in a box of bits I picked up on eBay recently. All lovingly made and very played with. The maroon dress is particularly cute with simple hand stitching.